Inspection of equipment on a regular basis can help you detect any deterioration and take action before it results in any health and safety risk. 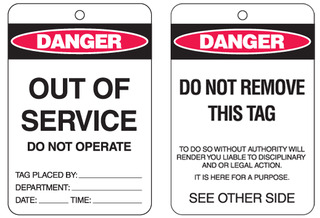 Where can you find out how to use equipment correctly and safely? 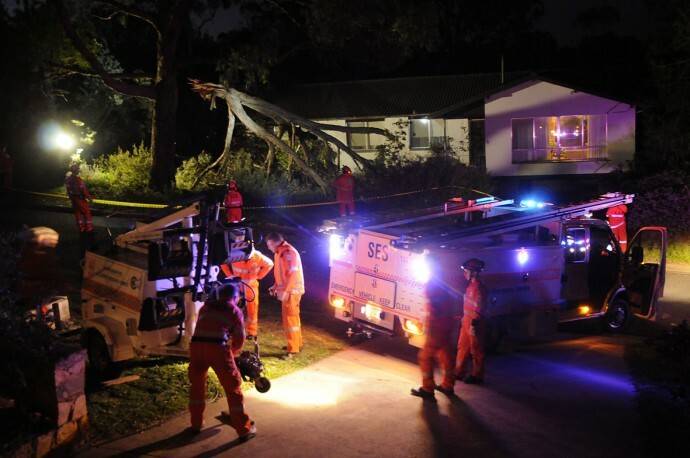 Familiarisation of all NSW SES equipment is important when operating in storm damage environments. The organisation uses various types of equipment to aid Storm and Water Damage Operations. It is every member’s responsibility to become familiar with each piece of equipment that the organisation uses or introduces. Who is responsible for testing equipment within the unit? Please review information regarding PPE on EOS by clicking here. Return to this page when you are finished to continue. It is essential that all NSW SES members consider and protect the environment when undertaking works and understand their responsibilities if a leak or spill occurs. This legislation tells us that fuels and other chemicals must not be allowed to leak, spill or otherwise escape from storage containers or equipment. The law also tells us that we must take steps to protect the ground and waterways when washing equipment, refilling with fuels and chemicals and storing these substances. 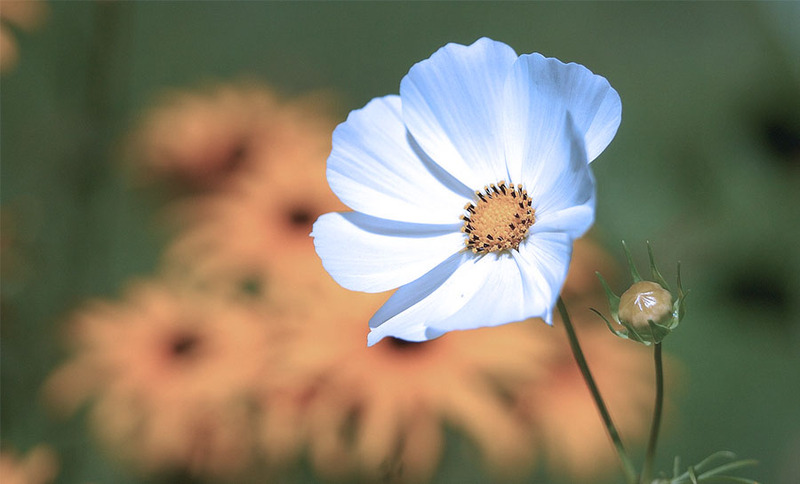 Failing to comply with the law can result in harm to the environment and hefty penalties. where a leak or spill is likely to harm the environment, the Team Leader should notify and seek advice from the Environment Protection Authority on 131 555. 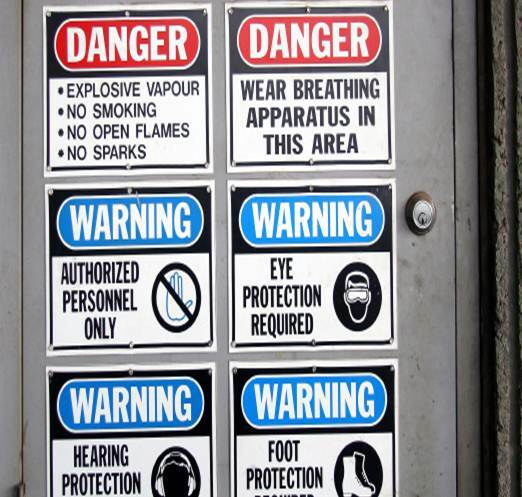 When using chemicals or fuel to clean equipment, where would you find information on hazards, risks, first and and control measures, including PPE? 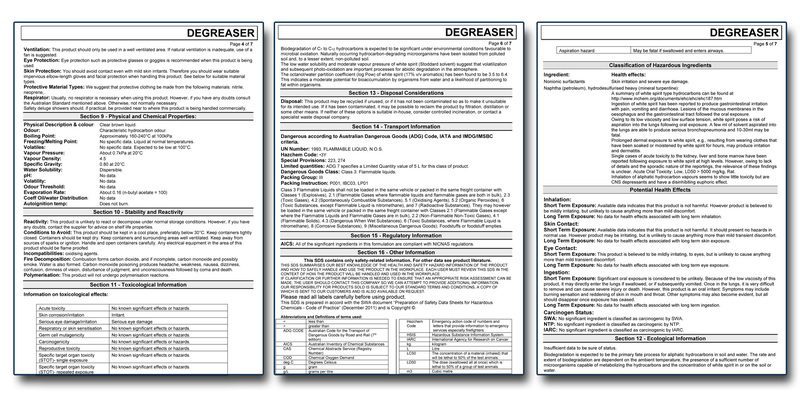 Answer the below true or false questions relating to Safety Data Sheets. 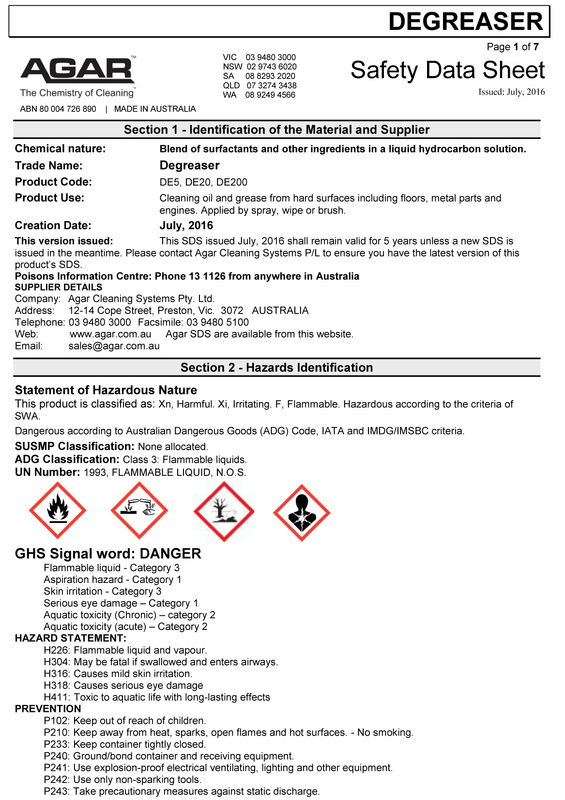 In section 2 of the SDS, the words Warning and Danger heighten the relative risk of the chemical. Of these two words, warning is the more severe. 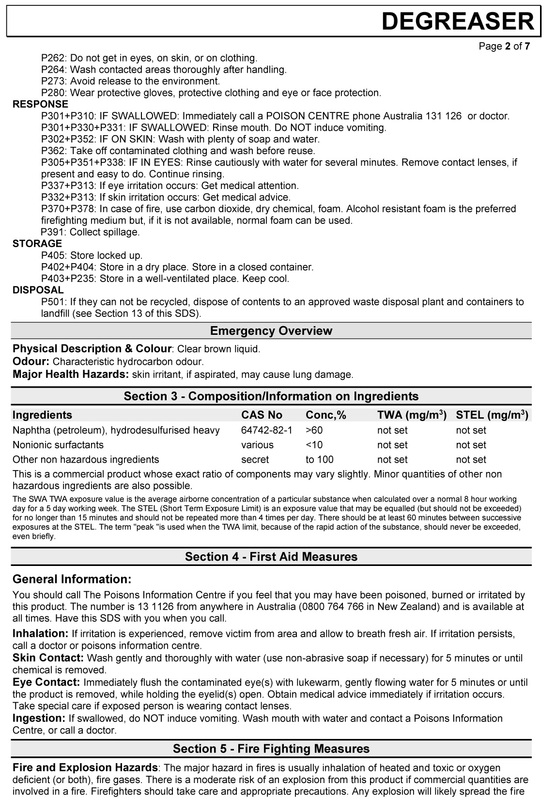 The first aid section in the SDS provides a thorough guide when working with these chemicals so that medical treatment is not required. The firefighting measures section gives specific information on fighting a fire involving the chemical. Involve carbonaceous solids. A carbonaceous solid is one which contains the chemical element carbon as the basic fuel. This is probably the most common type of fire encountered by firefighters. 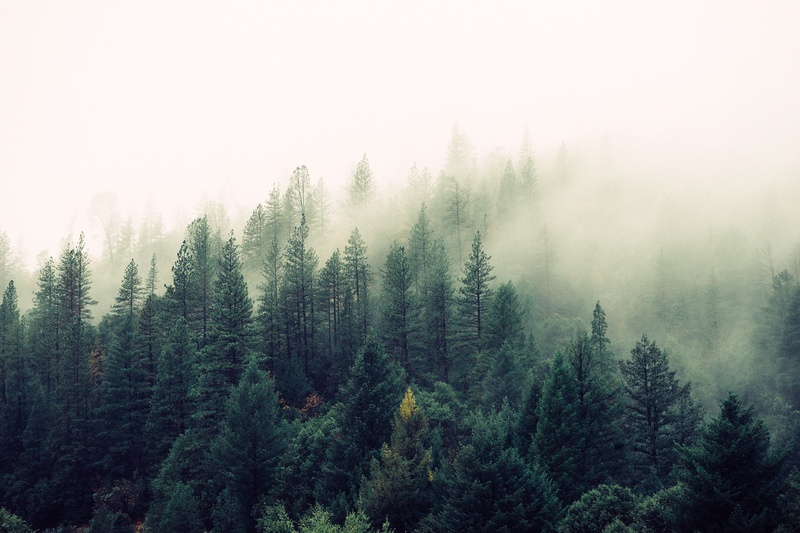 Examples: Wood, paper, cloth, rubber, plastics, grass, coal. 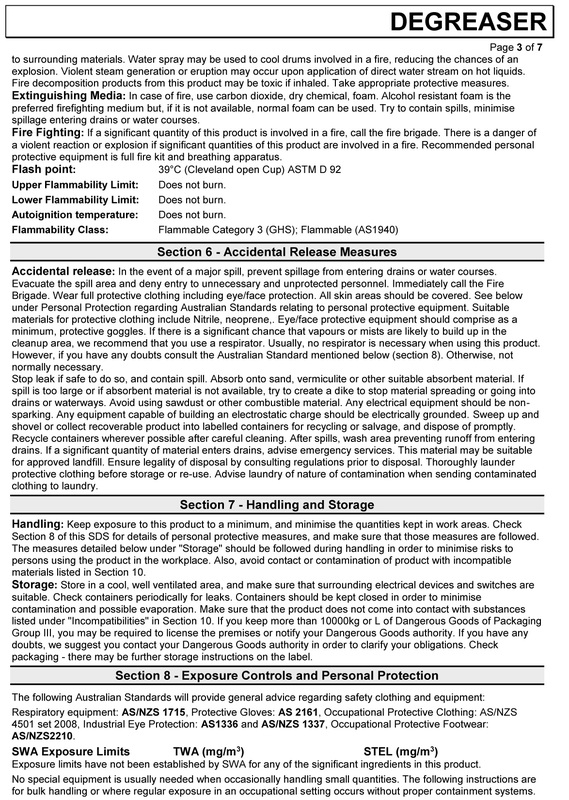 involve flammable and combustible liquids. 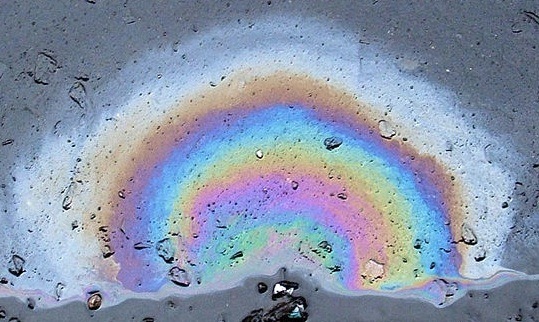 Examples: Petrol, kerosene, oil, tar, paint, wax. involve combustible gases.Examples: LPG – liquefied petroleum gas, butane, propane; LNG – liquefied natural gas, acetylene. involve combustible metals. Examples: Sodium, potassium, magnesium and aluminium shavings. there is no ‘official’ Class E fire. Electricity is not a fuel; it does not burn like a fuel. However, it is a dangerous complication at a fire, because it is a source of heat and potential electric shock. involve cooking oils and fats. Examples: Lard, vegetable oils. You have now finished all the content! Make sure you click submit at the top of the next page to send your results. Please make sure you review section 5 in your learner guide before next Monday.